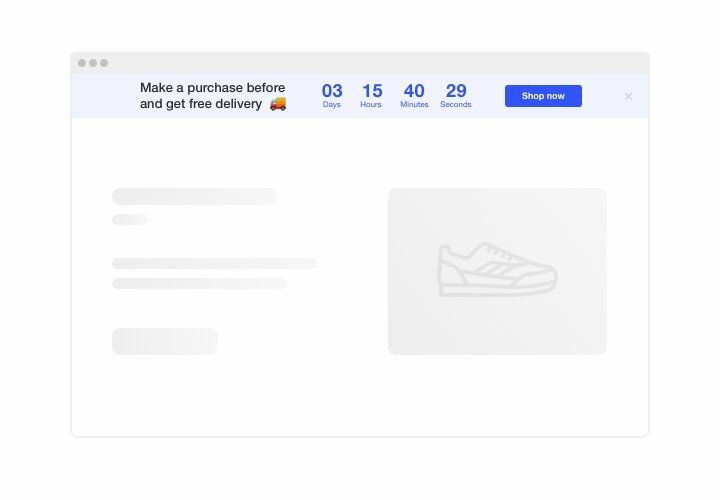 You can use Elfsight Countdown Clock module to display diverse types of counts and timers which stimulate clientele to buy. 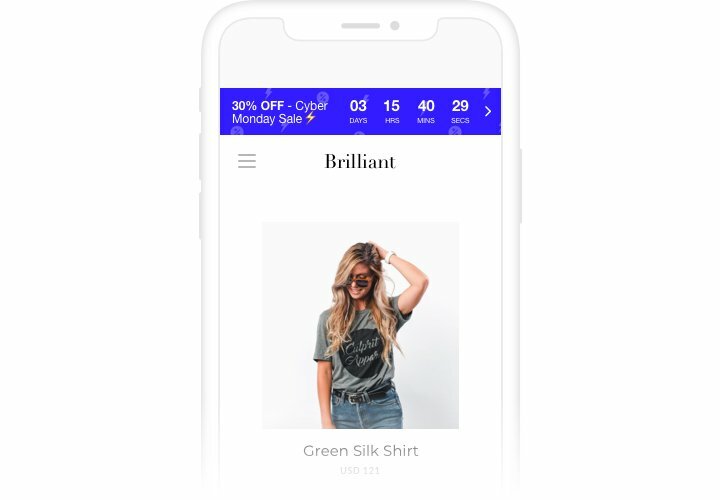 Stock or sales count will set a feeling of deficit and competition; sale countdown will stimulate shoppers to shop before they lose a great deal. 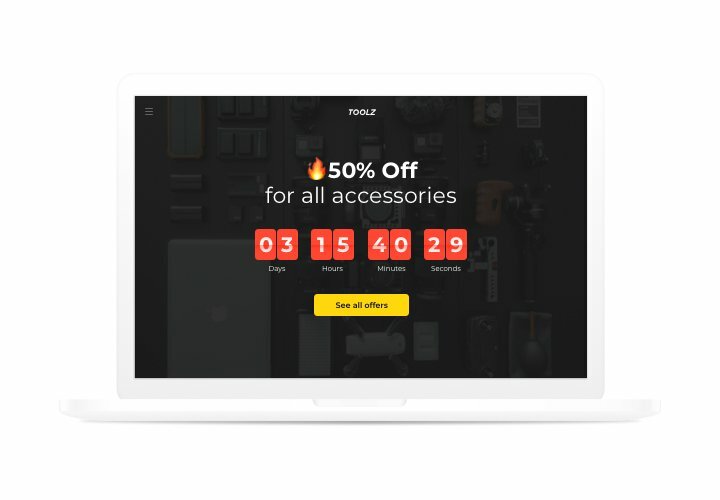 A personal countdown will stimulate each customer to use a personal offer right now; holiday banners wit special offers will attract attention thanks to theme design. Make your events and sales impossible to miss and attract more purchases. 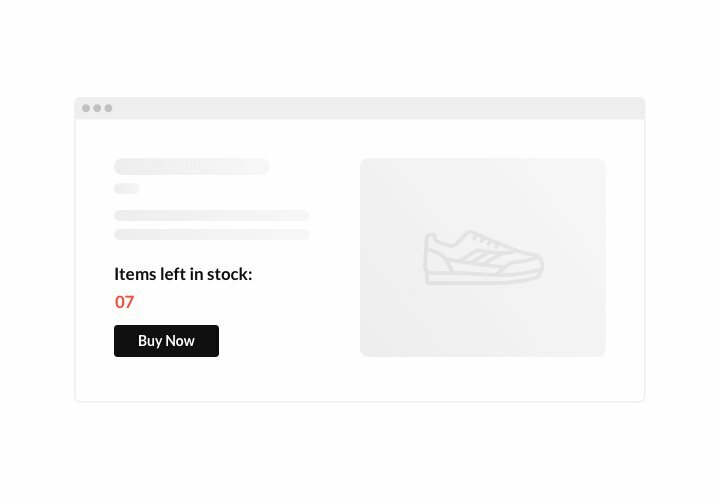 Inspire users to shop by evoking a sense of urgency. Make your clients afraid of missing out your great deal showing time going down to the finish of it. It will make visitors purchase faster and uplift sales on your site. Demonstrate the stock dropping in order to increase items’ value. Build a sense of competition for your items by showing how the quantity of purchases is getting higher and the stock is lowering. Product’s perceived worth will increase and users will want to get it too. 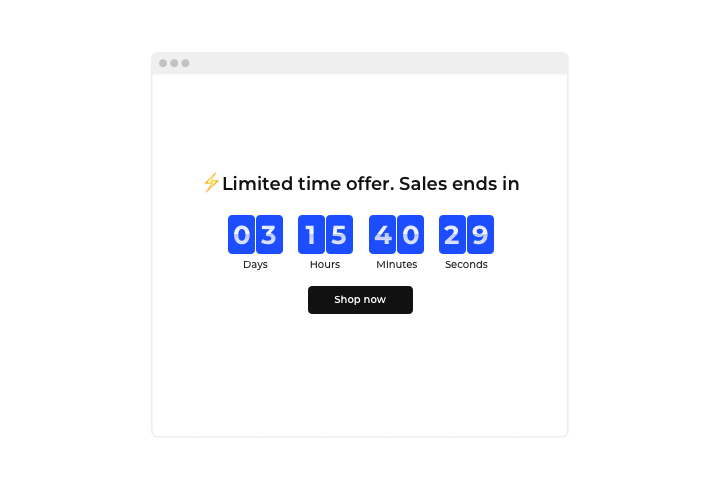 Entice more attention to your sale with a special holiday-style timer bar. 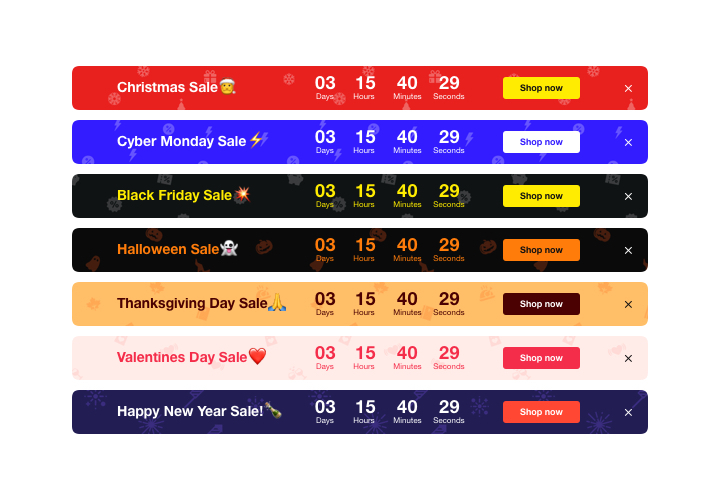 Using attractive theme bars, you can advertise your seasonal offers and sales. Get the best of holiday time to boost sales on your site. Here’s a concise manual for setting up the module on Drupal individually. The installation process will take less than 2 minutes and will not require knowledge in programming. Download the module and embed it on the site. On Countdown Clock page, choose the attached document with the module and download it to your site on «Extend» tab. Find the embedded module and set the required parameters and functions. Publish the module on your page. On «Content» tab, choose the page for placing the widget and insert the widget code. Save the results. Widget installation to Drupal is complete! Enter your website, to check your app! Came up with some questions while using the manual? Contact Elfsight support service or see a detailed text of the guide and complete the adding yourself. Shape your own Drupal Countdown Timer for free!